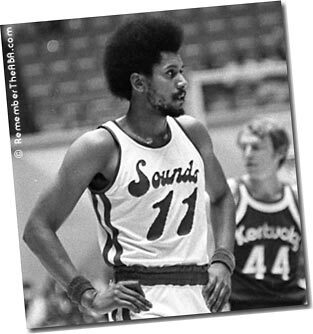 One of the all-time flakes in ABA, but also one of the league's most personable players . . . One of best-shooting cornermen in the league . . . Wears Wilt's No. 13, and has same proud carriage . . . Fair defensive player, needs work on rebounding . 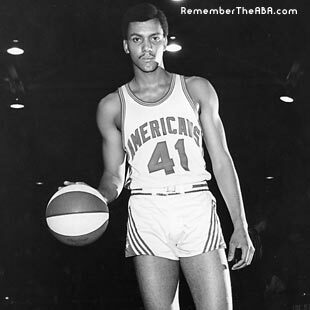 . . Set ABA scoring record with 62 points against The Floridians in March 1971 (one night after scoring only 3 points against the Virginia Squires). . . "We tried four or five guys on him," said coach Bob Bass of Floridians. "He just couldn't be stopped." . . . Home-town boy with Pipers/Condors - born in Clairton, a small community just outside Pittsburgh . . . Pipers/Condors could never cut him because all his relatives and friends would come to games from Clairton . 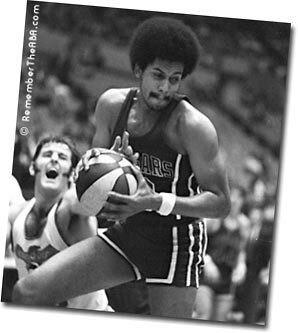 . . Stew figures to keep his record intact of never having been in the playoffs, despite having already played with six different ABA teams . 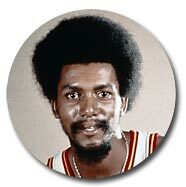 . . After Jim McDaniels quit the Carolina Cougars during the 1971-72 season, Stew was pressed into service at center and performed admirably . . . Visited American troops in Pacific area hospitals with group of ABA players during summer of 1971 . . . "Stew's shooting techniques and release are near-perfect," says Condors coach Jack McMahon. "I think he works at it." . . . "He reminds me of Jack Twyman when I was coaching in Cincinnati," continues McMahon, "He was always ready to shoot the ball. Some people thought he had arthritis because his hands were always curled in front of his chest." . . . Says Stew: "I think they respect my shooting around the league, I'm best from 15 to 20 feet out on the baseline." 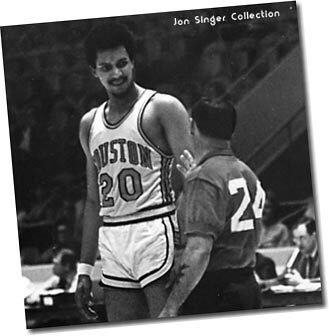 MEMORIES OF PAT COSGROVE: "One of my memories from the very first year of the ABA involves Stew Johnson. The New Jersey Americans obtained him from Kentucky during that season. For the first couple weeks he seldom left the bench. However, his pre-game shooting started to open some eyes. Johnson simply did not miss from long range. Finally one night against the Houston Mavericks, coach Max Zaslofsky inserted him into the lineup with 2 seconds remaining and the Americans down 3. Recall that the 3-point shot was still a novelty, and teams weren't really trained to run plays specifically designed for the 3. When Stew got the call, he gave a wink to the crowd from the scorer's table. Everybody in the Armory knew Stew was getting the ball even though he hadn't played all night. He wound up taking an off balance 3 as he fell out of bounds on the baseline. The ball rimmed out as the buzzer sounded. 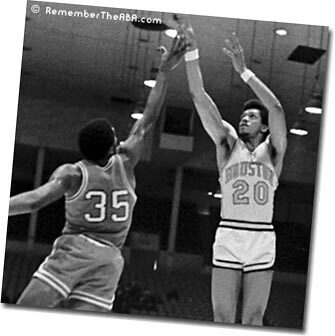 Anyone who witnessed that couldn't have been surprised as Stew later became one of the top shooting big men in all of basketball."